I thought that checking PH levels was just for swimming pools. 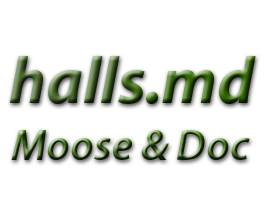 Read on Moose and prepare to be educated and amazed. Many celebrities swear by the alkaline diet, both for weight loss purposes and for the claimed health benefits. Indeed, the alkaline diet (also sometimes known as the acid alkaline diet or the alkaline ash diet) is all the rage amongst celebrities. Famous and fit-looking celebrities who swear by the alkaline diet include Gwyneth Paltrow, Victoria Beckham and Elle Macpherson. So what is the alkaline diet? Is it another celebrity fad diet or the latest in health and well being? This post will examine some of the facts and fiction behind the alkaline diet. Well, if the celebrities are doing the alkaline diet it must be good. Oh Gretchen! Don’t believe everything you read on the internet. Always try and do your own research. 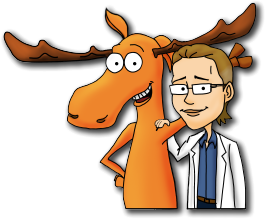 …or even better, read Moose and Doc’s posts where the research is done for you! Before we can understand the theory behind the alkaline diet it is necessary to understand a little about the normal body ph. Interestingly, and not many people know this, ph stands for ‘power of hydrogen’ but we are not going to go too far into that! Basically the ph range measures how acidic or alkaline your body is. Interestingly, a healthy blood ph is slightly alkaline at around 7.4. So, the idea behind the alkaline diet is to keep the body in an alkaline state. As shown above, that would be a ph level of 7 and above. Wow! So far, so good. Even I understand that. Yes, it’s all quite clear, but what I don’t understand is how you know what your ph balance is. Don’t worry Jess, that bit is coming oh, too soon. Well, as we have seen the main belief behind the alkaline diet is that the food we eat will affect the ph level of our body. Obviously, the main aim of the alkaline diet is to keep the body in a permanently alkaline (or base) state. The main premise of the alkaline diet, is that when we eat acidic food, the body burns this food for fuel and leaves a sort of ‘ash’ similar to when you burn fuel for heat. This residue can be either acid ash, which is claimed to increase the acidity level of the body. On the other hand, alkaline-forming food will result in alkaline ash that reduces the acidity balance of the body. Okay Doc, we’ve got that now. But what is so great about having an alkaline body? There are many claims about why an alkaline diet benefits health. So let’s have a look. Followers of the alkaline diet aim to eat foods that have a high alkaline balance. This is good news on a health level, as a lot of foods that are alkaline are very beneficial to well-being. Alkaline Water: is sold in health food stores and has a much higher pH than normal water. There is some research that has shown that alkaline water can help with heartburn symptom, however, I’d be more tempted to go for normal water with freshly squeezed lemon juice. That is interesting because a lot of the foods above feature in really healthy diets like the Dash Diet. Yes, and also the Mediterranean diet. Interestingly, both diets are scientifically proven to have health benefits and to aid weight loss. The list below contains foods that have a high acid load, and as we can see, they are all quite a large part of the Western diet. Whether or not the theory behind the alkaline diet is correct, reducing or eliminating some of the foods below from the diet has been proven in many medical studies to have health benefits. However, it is not necessary, for example, to eliminate all meat and dairy, but simply cutting out some acidic foods such as refined sugars, processed foods and trans fats will be beneficial to health. If you avoid all the foods above, you’ll be on a vegan diet. Don’t know about vegan, but no coffee, really? I don’t have a problem with coffee. I have a problem without coffee. Despite the many claims of the supporters of the alkaline diet, the central theory is somewhat flawed. Firstly, pH levels differ within the body, for example the stomach is highly acidic to break down food, whereas the blood ph level remains constant at around 7.4. A central part of the alkaline diet is to test the ph of your urine by peeing on a litmus test strip. Foods that we eat do temporarily alter the urinary ph depending on whether they are acidic or alkaline. But, and this is quite a BIG but, the body has an amazing feedback mechanism, called acid-base homeostasis, that regulates blood ph – regardless of the ph of the urine or other factors. In summary, eating acidic or alkaline food does not change the ph of your blood, although it does alter your urine ph. Hence, if you have alkaline urine this is NO indication of your body ph level or your overall health. Food does not change your blood Ph. I’m confused now Doc. How does the alkaline diet work for weight loss? How does it work at all? Interestingly, you can search for ‘the alkaline diet and weight loss’ and you will find no medical research studies that support the specific claim that eating alkaline foods aids weight loss. One of the drawbacks of the alkaline diet is that it does exclude foods that are rich in nutrients and known to benefit health, in moderate amounts, such as lean proteins like chicken and fish, dairy products, legumes and essential fats. However, at the base of the alkaline diet is a reasonably healthy diet. Firstly, cutting out, or reducing, processed foods, alcohol, red meats, trans-fats and sugars is certainly going to help with weight loss and has numerous health benefits into the bargain. Secondly, increasing the intake of healthy, fresh foods, such as fruit and vegetables and drinking plenty of water has been scientifically proven to aid weight loss and improve general health too. In conclusion, you probably will lose pounds and be well on the way to a healthy body, on the alkaline diet because of a switch to healthier, fresher products rather than because of the underlying ‘alkaline theory’ itself. Did you know that the new iPhone 6 helps you lose weight? Why is that Moose? Is it some new funky app? No Jess, it’s because once you’ve paid for the phone you can’t afford to eat. It has been well known and documented, that where there are cancer cells there is a low pH or an acidic environment. Furthermore, cancer cells do not thrive in alkaline conditions. Hence, the theory that limiting acidic foods and increasing alkaline ones will alter the blood pH level and prevent or stop cancer. This is not strictly true as we have already discussed. The problem again, is that eating acidic or alkaline foods has no effect on the pH of the blood. Furthermore, it has been seen that cancers produce lactic acid and so it is actually the tumor that creates the acidic environment and not the acidic pH level that causes the tumor. “There is no scientific literature establishing the benefit of an alkaline diet for the prevention of cancer at this time”. It is quite amazing how such health claims are so widespread. Yes, always check that an article or post has scientific studies that back up the claims. A serious problem for cancer sufferers is they need to build their strength and gain weight and the alkaline diet, because of the exclusion of meat and dairy, may not be the healthiest. Another popular theory found all over the internet, and even the subject of some books, is that the alkaline diet helps prevent and improve osteoporosis. The idea is that if the blood pH level drops even slightly the body will begin to break down bone and muscle tissues for the alkalizing properties, and will lose mineral content. As we have already seen, diet does not affect the blood pH level. “A causal association between dietary acid load and osteoporotic bone disease is not supported by evidence and there is no evidence that an alkaline diet is protective of bone health”. What do you think about the alkaline diet, Doc? The main problem with the alkaline diet is that a lot of the health claims are very loosely based on science, but the overall premise of changing the blood acid-alkaline balance by foods is flawed. As we have seen, there is very little scientific research to date, that supports the claims regarding cancer and bone health. However, the alkaline diet is healthy in that it encourages an increased intake of fruit and vegetables, whole grains and plant-based foods, although it does exclude some healthy foods too. Furthermore, the alkaline diet sticks to known solid scientific research because it promotes the reduction of unhealthy process food full of sugar and sodium. All in all this diet is not going to do any harm to healthy people who are educated on the nutritional needs of the body. In fact, I would go as far as to say the alkaline diet may lead to weight loss and improved health, but unfortunately, this has nothing to do with the acid alkaline balance of the body. I just saw two people jogging by the window and it inspired me … to get up and close the curtains. A Vegan Diet: Top tips to make the switch. Find out everything that you need to know, with all the latest research about swapping to a vegan diet. A Gluten-Free Diet: Many people are jumping on the bandwagon of a gluten-free diet. Discover the truth behind the big GF. Stone age Shenanigans with the Paleo Diet: The Paleo diet is quite similar to the alkaline diet in that it promotes a lot of plant-based fresh fruits with an emphasis on organic. Find out more here. The Dash Diet: Originally developed to lower blood pressure, the Dash Diet is by far the healthiest and is backed up by some impressive research. Take a look! The Mediterranean Diet: Another one worth a look – with good reviews and all round health benefits plus weight loss. If you had to choose between losing weight and chocolate would you choose dark, milk or white?